Good evening. I’m very happy to be here. I wish to thank Dharma Master Cheng Yen and Tzu Chi for inviting me to speak to you. 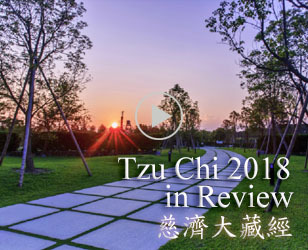 It is a great pleasure to discuss with you some of my reflections and ideas on Tzu Chi and other religions that have come to existence in the modern world. I come from United Kingdom. I am a professor in the University of Oxford and I have visited various parts of Asia on many occasions, including Japan, Korea, Thailand, Cambodia, Indonesia, Singapore and Taiwan. My interest is in religion. I am a student of religion. I try to understand different religions from the point of view of history and anthropology. We see the development of many new and different kinds of religions in our world today. These new formed religions emerge in Japan, in Korea, in Taiwan, in China, in every part of the world. There are new forms of Buddhism, Hinduism, Christianity, Islam, and every type of religions. Why are we witnessing the emergence of so many new kinds of religion in every religious tradition in our world today? Some scholars predicted fifty years ago, by the year 2000, religion will be dead. Some politicians, scientists, scholars believe that science are incompatible. Soon science will replace religion completely in our world. But in reality, religion is getting stronger as science improves, develops and expands on technology. Religion, at the same time, seems to be getting stronger, not weaker. For example, the United States is the most advanced country on earth scientifically and technologically and also the most religious. This revival of religion is growing interest in religion. We see in Latin America, Japan, and everywhere. What is the role of religion in the modern world? Maybe religion has a very fundamental role to play in saving the modern world from self-destruction. The leaders of the major countries of the world had a meeting concerning global climate change in Copenhagen this week. Some scientists believe that the role of religion in helping to prevent environmental catastrophe is vital. So the modern world seems to need religion and need it for very fundamental and important reasons. But more than one hundred new forms of religion have been emerged probably today; some of them Buddhist, some of them Hindu, some of them Christian. Japan has probably, as many as five thousand new forms of religion, many of them Buddhist, many of them Shinto Buddhist and so on. The interesting thing is, though there are many new religions born every day, very few survive. Of the hundreds of the new religions born today, less than one percent will be alive in twenty years of time. Very few gain more than a couple thousands of members. So an interesting question is why do some religions succeed, and some failed? Christianity is the major world religion today. About thirty three percent of the population of the world today is Christian. When it started, Christianity was only one of many different religious traditions. Why did all the others die and Christianity roses and successful. In Buddhism, we have hundreds and hundreds of Buddhist’s traditions and only small number have been successful and they expanded and gained followers on a world-wide scale. Buddhism was once the major religion of North India, but now it is no longer so. What happened? When Buddhism came to China, it took three hundred years to start to make progress. So what are the reasons for a religion being successful? Why do some religions succeed in the sense that they gain large numbers of followers and survive for a long period of time and others failed? There’s another question that’s related to this is why do religions succeed in one culture context and not in another. For example, there are many new Japanese Buddhist movements in Japan. And many of these movements have tried to expand and promote the ideas and the practices outside Japan, in Europe, Latin America, China, and North America. Only very few have been successful in attracting large numbers of followers. Why is it that they are successful in Japan but not in North America, Europe, or South America? What’s the reason that a movement can succeed in one context but not in another? Japanese Buddhist movements have been active in Brazil, for example, in Latin America for about hundred years. Japanese people started going to Brazil in 1908 for work. They went to work on the coffee plantations in Brazil. And after then came Japanese Buddhist movements. Now some of these movements have been active in Brazil for over a hundred years and they have very few followers, very few disciples, very few members. Others who arrived in Brazil later, say in the 1950s and 1960s have several million members. So why do some succeed and others do not? In my own society in Europe, western Europe, we have hundreds of Japanese Buddhist movements. And only one has more than five thousand members after fifty years. They try hard to gain members. They approach people, they evangelize, and distribute literature; they publish books. They have meetings and seminars. They do many things to try and attract people. But they don’t succeed. Why? Why is spreading and developing outside one’s own culture a major problem? It’s true also for Christianity. Christianity has been in Asia for over four hundred and fifty years. But when you look at Asia, say Japan, Thailand, Indonesia, Sri Lanka, India, Pakistan, Afghanistan, China, Taiwan, there are not many Christians here after four hundred and fifty years. So what’s the reason? All these traditions including Tzu Chi, they want to spread their message of goodness and kindness, and give people the opportunity to participate in their activities. But they find it difficult to attract people outside their own culture. Tzu Chi doesn’t necessarily want a lot of members as such but it wants to spread its message of goodness and compassion. If you want to spread messages, you must attract people. People don’t listen to you when you won’t attract them and your message won’t be spread across the world. So that’s an interesting point. That’s what we are discussing, is there a way which you can attract people outside your culture, outside your own environment, outside your own geographical region. 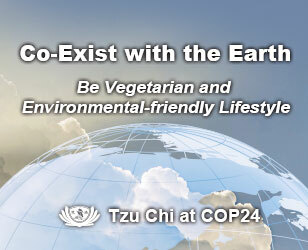 If I ask you the question, is Tzu Chi a Chinese movement, what would you say? Do you think it is, primarily, about spreading Chinese culture? Or does it appear to be as a way of spreading Chinese culture or a universal message? You see if it’s a way of spreading a universal message, then it can’t be a Chinese movement. Can’t be at least Italian Chinese movement, it may have started in China, it may have some Chinese characteristics, but if it’s a purely a Chinese cultural movement then it can’t spread a global message. People have to be able to see, if you want to attract people outside of Taiwan, outside of China, in United States, in Europe, people have to be able to distinguish between the culture and the message. You see, when you look at western culture, there are many things that you don’t like about it. When you look at the way of modernization and industrialization, if it’s too western, you criticize it. You want to preserve your own customs, traditions, habits, dietary, and regulations. You want to protect and preserve vast numbers of things. You don’t like your young people using western fashions and a whole range of things, because it’s western. It’s destroying your own value system, morality, customs and your own ethical principles. You object to this kind of cultural imperialism. We all want to protect and preserve the basics of our culture while advancing and developing. We don’t want to be and have our culture destroyed by non-Chinese, or whatever culture. This is something that we feel. This is same with language. My language, English language, is a very important language, globally. But I’m sure many of you don’t want to destroy your local language. You don’t want to destroy Chinese, because there is so much value in Chinese. Therefore you put a limit on the extent to which the English language should dominate to your culture, society and your values. Everyone rightfully respects their own culture. Normally they want to protect the essentials of their culture. If a religion does not tolerate or respect a culture of another society or community, it will not succeed. So if a Buddhist movement from Japan or China or Korea goes to Europe, but does not understand European culture, and the values of European culture, or even assumes that Europeans have no values, then it will not succeed. So one of the first principles for success is to appreciate and understand the values and the customs of the society in which you want to establish yourself. If Christianity comes to China or Taiwan and does not understand Taiwanese or Chinese values, its development will be very slow and insignificant. And the same is true of a Buddhist movement from Taiwan that goes to Europe or North America that does not understand or appreciate the values of those societies, its progress will be very slow. It will probably not survive for very long. That is a very important principle to remember. It’s like a business, if you want to sell your products abroad, you’ve got to adapt the project to the needs of that society. Otherwise people will not buy it. It’s the same with your religious philosophy. If you don’t adapt it to the understanding of the societies in which you are working and want to establish yourselves, people will not respond to it positively. So if our world today needs more altruism, less selfishness, then you got to be able to present that philosophy in a way that people can understand in their own cultural situation and language, otherwise your message will not be heard. Human beings are very conservative people beings. We are very conservative by nature. We don’t change easily and when change we change very little. The reason is because we are educated for a long period of time to accept certain values, and to behave in a certain way. Therefore, we are inclined, as a result of long years of education and socialization, to think, act and value things in a certain way. And because of this we change very slowly. Change is the most difficult thing of all. When you meet someone you haven’t met for fifteen years, what do we normally say? Hello, how are you? You haven’t changed at all! That’s the normal way we talk. We see people and we see the way they behave and think. We think they haven’t changed much over that period of time. It’s very hard to change. When you are trying to spread your message, a Tzu Chi message or any other important religious message, you are trying to change people. 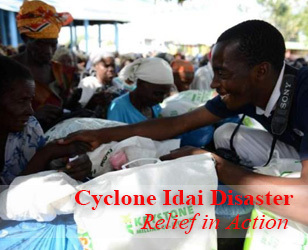 You are trying to encourage them to be more altruistic and to participate in positive constructive action for the benefit for the human race. You are trying to do all of these that are very difficult. You are trying to change them. But the people you are talking to, whose tendency is to not to change, not to want to change, to remain as they are, to preserve and protect the culture and the values that they have acquire through education and training and socialization. So that’s the problem! If that message is dressed in purely foreign cultural clothing then they will not respond. You have to find a way of presenting your messages that fits with their ways of thinking and behaving. You’ve got to preserve the core of the message and at the same time find a way of presenting it in their language, in their symbols and the rituals of that community or that society. If you don’t, you will get a rejection. So the first principle that I would suggest of success for a religion is this that a religion will succeed to the extent that it shows in its methods some considerable degree of cultural similarity with the culture of the society in which it seeks to attract members. Therefore, a movement coming out of Taiwan to Europe must display some degree of similarity with the culture of Europe in order to have any chance of attracting members. If people in Europe cannot recognize themselves in this movement, then they won’t join it, because, as I said, it’s very difficult for us to change. We have invested so much in our culture, there’s all this cultural capital which we acquire that we are not ready to give away. So you’ve got to meet these people half way at least, in order for them to be able to respond. It’s the same with a European religion coming to Taiwan or China. Unless they are prepared to meet Taiwanese or Chinese culture half way at least or even more, you will not respond, or join to become members. This is a fundamental principle of religion’s success and failures. All those movements that are successful have been able to do this. There are thirty groups of Japanese Buddhist movements in Brazil. About four out of the thirty groups have been successful in the sense that existing for more than fifty years and having hundreds of thousands of members. Those four groups have introduced the ceremonies and rituals in Portuguese, the language of Brazil. Not entirely, there are still one or two sutras in Japanese, but they use quite a lot of Portuguese that the Portuguese-speaking Brazilian feels familiar. They’ve introduced a number of Brazilian cultural practices. For example, there is a strong Brazilian catholic tradition and important in Brazil is Jesus and Marry, the mother of Jesus. They allow this kind of belief to exist along the side of Buddhism. They don’t try to get rid of it. If someone wants to believe in Jesus, it’s fine. They adapt it. Because no Brazilian will change and stop believing in Jesus and Marry. They allowed these cultures or religious practices and traditions to remain. Those are the ones who have succeeded, because Brazilian has been able to respond to. Consequently, they have hundreds of thousands and even millions of members. For others, who have not introduced in Portuguese or allowed belief in Marry, have very few members, very small, or almost not existed. Another principle I think that it is important to success is the ability to retain certain degree of strictness in relation to the wider society. It must be clear to people that you are different. You don’t accept all the values and practices of the wider society. There must be this tension, that is not terribly strong but sufficient, between you and the rest of the society. You can be tolerant, you can be open but there must be a sense in which you have reservations about some of the behaviors and practices of the wider society. If you are identical or the same, people won’t bother join you. For example, people tell me that Dharma Master Cheng Yen lives a very simple life. There’s a distinction, between her life and the wider society. This simple life, not using all the convenience that all the wider offer that is the tension that I mean. If that’s not there then people will probably not wish to join you or participate with you in your activities. So that’s the second proposition of principle I suggest to success. The third important principle for a movement to be successful is the legitimate authority. The leader has authority and respect of the members. Many movements are led by what we called charismatic leaders. In other words, the followers and disciples have a strong faith in the teachings of the leader, and follow the leader in faith. They believe the teachings of the leader are important and absolutely fundamental to the mission of their movement and to their own lives. So they follow the guidance and the advice of the leader on those bases. That’s what we called charismatic authority. That is very important reason for the success of the movement. However, the issue arises when the leader of that movement passes on. How then does the movement function? How then is it lead? How it handles that transition? That’s an important phase in the movement’s history. You can handle it well; you can handle it not so well. If you handle it well, the success will continue; and if you don’t, you can find great difficulties ahead. Therefore, how to manage the succession of leadership is very important. The evidence suggests that most successful movements are those have handled that question well and adequately. Additionally, one of the issues that any movement faces is the question of modulating people. How do you keep people highly motivated and inspired? Often the charismatic leader can do that. But also, you need to be aware of the problems of “free riders”. That is people who are part of the movement but don’t contribute much to its development and success. If you have too many people in your movement who are not actively committed, participated, the movement tends to encounter difficulties and problems. It creates dissension and conflict. Those who are very active and doing a lot of work in the movement feel resentful that others are not sharing, and putting their weights. You’ve got to try and avoid the problem of free riders. You can afford some but you can’t afford too many, if you want to be successful. The last one of the issues I want to mention is that any movement must have effective internal networks. It must have the effective means to socialize new members. There must be ways in which you can train and educate people in the philosophy of the movement. Without these you probably won’t succeed. Tzu Chi has a hospital, you have volunteer program to train people and that is very good. Also, you have schools to socialize people into the values of the movement which is very important. And then you must have communication that’s effective within a movement in order for it to be a success. Those are some suggestions that I made concerning how a movement might be successful not only its own cultural context but also in other cultures. Thank you for listening. I hope some of the ideas might be useful to think about and maybe you have some own ideas that you can add to. Thank you so much indeed.